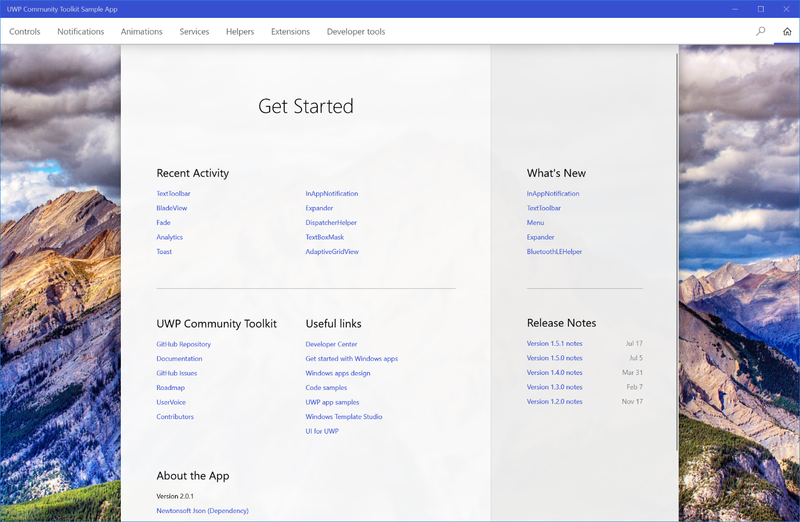 Microsoft a year ago released its UWP Community Toolkit that lets developers to contribute to new capabilities on top of the Windows 10 SDK. The Redmond Giant has today released a major update for its UWP Community Toolkit which is bumped to version 2.0. With the latest update the UWP Community ToolKit now has over 100 contributors and developers can download packages up to more than 250,000 times. The update is designed to enable developers to get the advantage of features, APIs, and the Fluent Design System which is now available in the upcoming Windows 10 Fall Creators Update. The company also plans to bring updates to the Toolkit in the future which would support the Fluent Design. The XAML within the app can now be updated directly and the changes can now be visible instantly in the preview. The company has made changes to the navigation model along with providing a new landing page with the latest update. Most important feature which the company has released is enabling support for cross platform APIs in the future. There is also an InApp Notification control added along with TextToolbar control which enables easy rich text.